Our classes are suitable for anybody who wants to take up Pilates, regardless of your age or fitness level. Here at Envigour Pilates we run both beginner and intermediate and advanced level classes. All classes can be on a Private (One 2 One basis) or Semi-private (2 or 3 to 1). Our classes are kept small to ensure maximum attention is given to each participant. More than 80% of the adult population suffer from lower back pain at some time in their life. It is one of the most common reasons why people take time off work, and may be distressing and frustrating as quality of life often suffers. Belinda started practicing Pilates 13 years ago after her second son Zak was born. During her pregnancy she suffered with back pain and sciatica to the extent that her physio put her on crutches at 8 months to help alleviate her pain. Although always a fitness fanatic, Belinda had always wanted to try Pilates and whilst on holiday she had the opportunity to do so. This sequence of events was to change her vocation and destiny forever. Belinda enrolled on a week’s course whilst on holiday where she practiced Pilates by the sea for the very first time. Belinda was amazed and it felt amazing. Belinda had never felt so good; stronger, leaner, much more relaxed and finally pain free. Everything was so more stretched and toned that she felt more mobile and more importantly, she had found a real connection with her mind and body; Belinda had never experienced this before. It was a complete mind and body experience; Belinda had connected with her ‘higher-self’ and after experiencing this enlightenment Belinda went on to train and teach with Body Control Pilates. Belinda quit her job in the City and qualified in November 2003. Belinda has gone from strength to strength building her own personal Pilates studio from her home, qualifying from intermediate to advance mat training with the outstanding Miranda Bass. Belinda trained at many sports clubs, Pilates Studios and Physiotherapy centres to gain experience on many different levels. Belinda now mainly works with clients on a one to one basis in her fully equipped Pilates studio in Woodford Green. 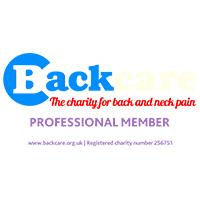 Clients come for help with many different problems including hypermobility, lower back pain, arthritis and general posture problems, fitness, strengthening and stretching/conditioning. All Body Control Pilates teachers work to a Code of Practice that governs teaching standards and professional ethics. All teachers hold valid insurance and CPR Certification. Body Control Pilates is widely seen as a benchmark for safe and effective teaching of the highest quality. 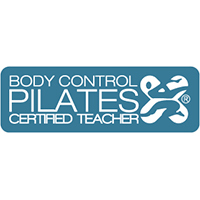 Qualified instructors have completed comprehensive training course in Body Control Pilates mat work and work to a laid down Code of Practice governing teaching standards, professional’s ethics and continuing education. This ensures that teachers continue to build their own skills and knowledge on a regular basis. The UK is the first country in the world to have a national standard governing the teaching of Pilates mat work. 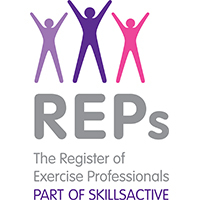 It is endorsed by Skills Active and the Register of Exercise Professionals and is recognised by the European Health and Fitness Association. Body Control Pilates was the first specialist Pilates training provider to receive approval against this standard and all teachers who graduate are automatically recognised as meeting the national standard (Level 3 Pilates Teacher).